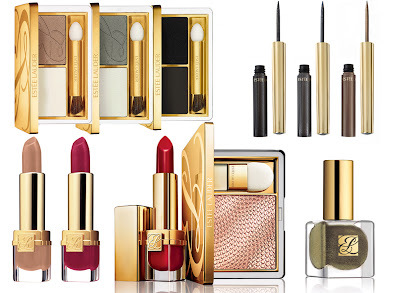 Estee Lauder's latest colour collection release - Modern Mercury is simply to die for. Created by Tom Pecheux, they feature neutral colours that can be easily incorporated into your daily makeup routine and is office-freindly but high impact enough when want to turn-up the colour factor for a night out in town. Modern Mercury is a molten metallic take on take take epitomises the modern women who favours minimalism and chicness and stragically uses a splash of colour on the lips and eyes to brighten up her complexion. The collection includes 3 limited edition products and 3 new permanent eye shadow duos. I've been lucky enough to be able try out the amazing Powder Gelée from the collection and am able share a closer look of it with you below. Encased in Estee Lauder's signature gold packaging, I ooohh and aaahh over the beautiful contours of this illuminating powder for many days and didn't want to use it as the fluid and wavy textured surface was too pretty to ruin by swiping the palette. Is a natural looking rose champagne shade with the fine golden pigments and iridescent pearls that adds a warm glow to skin. Used dry with a powder brush (I didn't try it with the included applicator), it adds a soft luminance indicative of a healthy radiance. Use wet, it would work as a highlighter for a flush of colour that has more of a pearlescent finish. Is buildable so you can control the amount of pearlescents and glow factor depending on the look you want to achieve without looking too disco-ball after multiple applications. Boasts tri-blend formula that is powder, gel and liquid in one. In honesty, I struggled to notice the difference between other normal powder illuminator and am not sure how would work as all 3 unless it was referring to the effect you get on skin. If that was the case then yes, you could get that effect depending on how light or heavy handed you are with this powder, but then again that probably applies to many other powder illuminators as well. I've been using this daily for the past couple of weeks and am loving it as it suits all complexions, doesn't accentuate pores and adds livens up skin and adds a subtle candlelight glow to face throughout the day. This doesn't show up in photos on the face which is exactly what you want it to do as it subtly enhances. 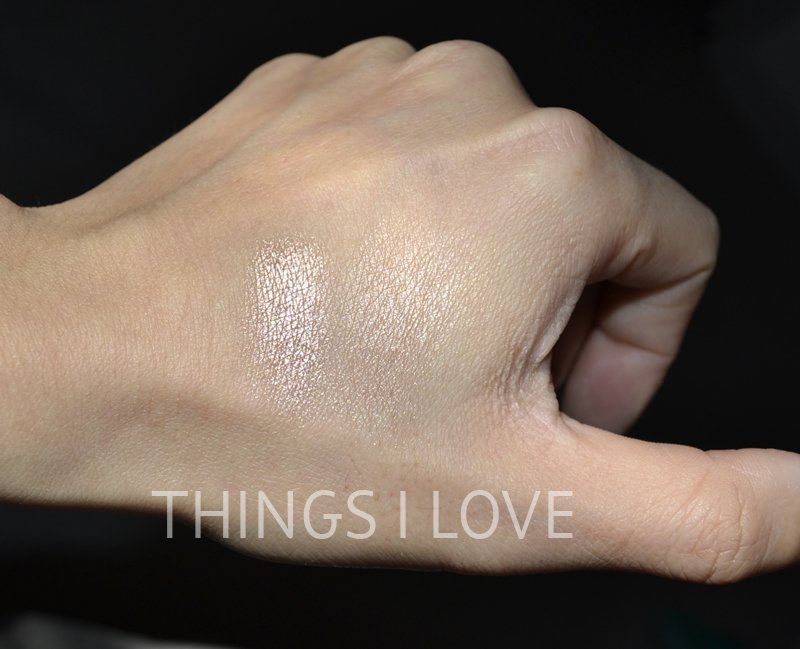 Instead, I have a wet and dry swatch of the product on my hand to show you the colour. What do you think of the Modern Mercury collection. What's your favourite product from the pictures? The Modern Mercury collection is available on counters in Myer & David Jones stores now. To find the best wrinkle cream or other skin products based on their skin type, read consumer wrinkle cream reviews before making any decision. the illuminating powder looks amazing!! 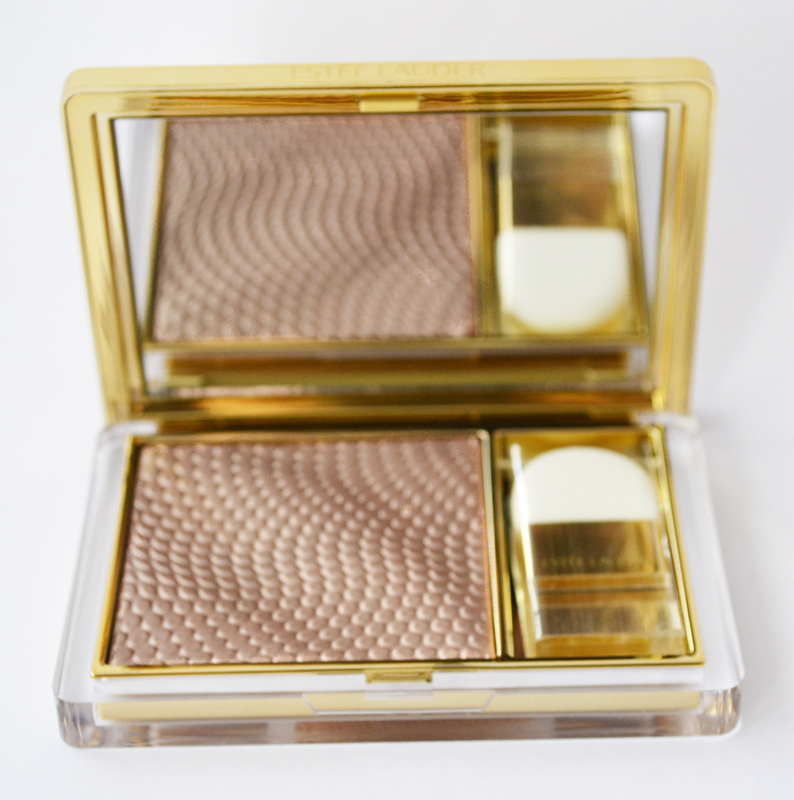 Emma, for all over glow- I used a large powder brush like the Bobbi Brown or Mac powder brush. 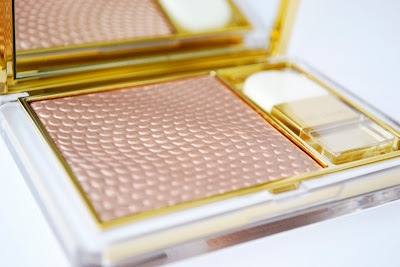 @Su, @Lily - it's one of the prettiest illuminator powder... sort of reminds me of MAC's SMF but less powdery in texture so it doesn't make pores look so big and is great for people like me who don't have perfect skin. It looks absolutely gorgeous, and I love the packaging.